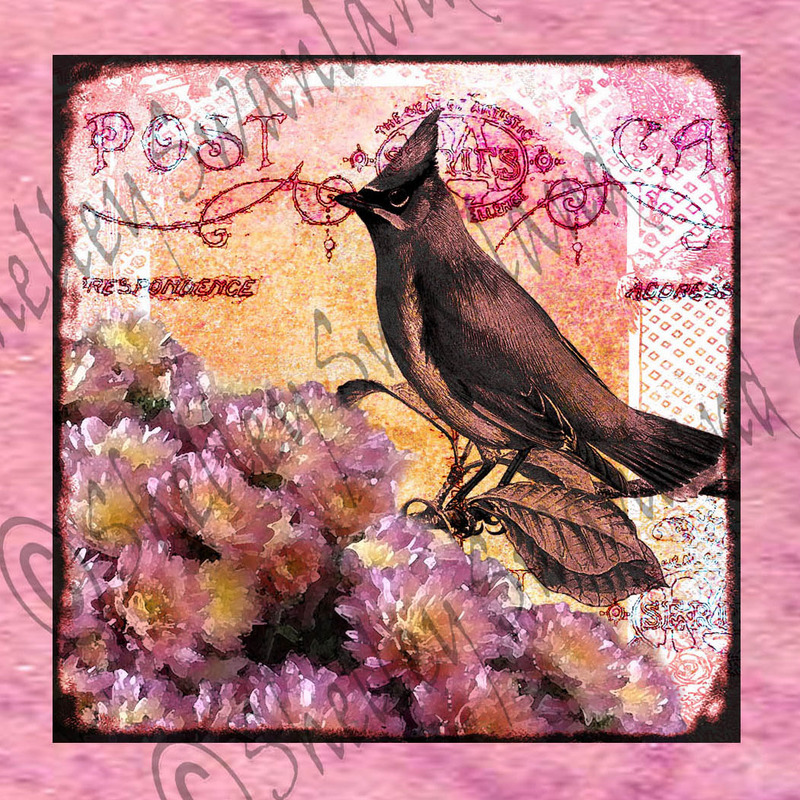 Post Card Art, A Vintage Bird and Flowers…..Ah Spring! 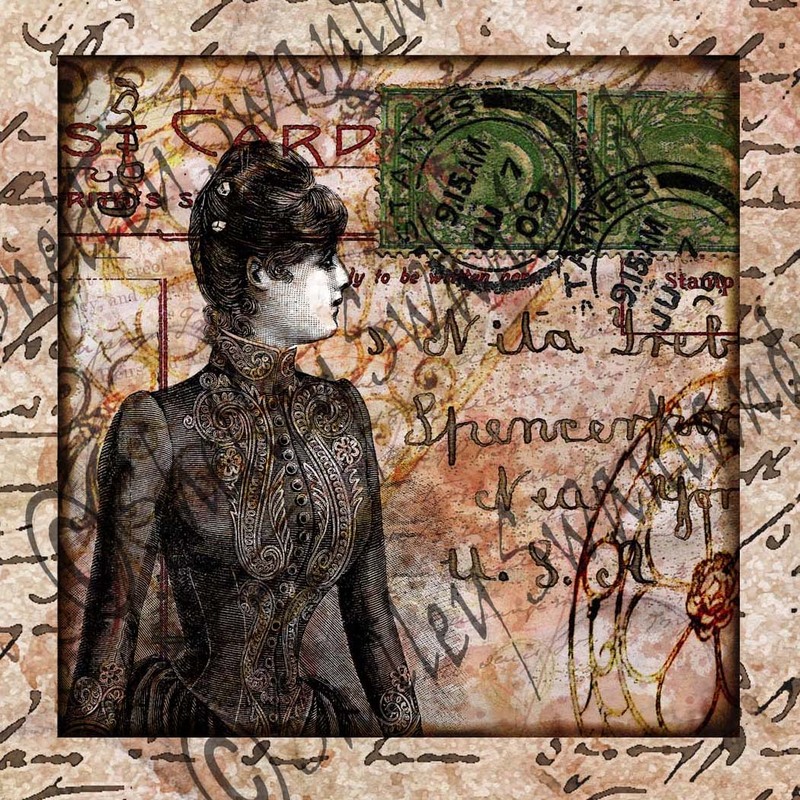 Here are two new digital designs that I have created. The beautiful lady came from an 1800’s issue of Harper’s Bazaar Magazine. 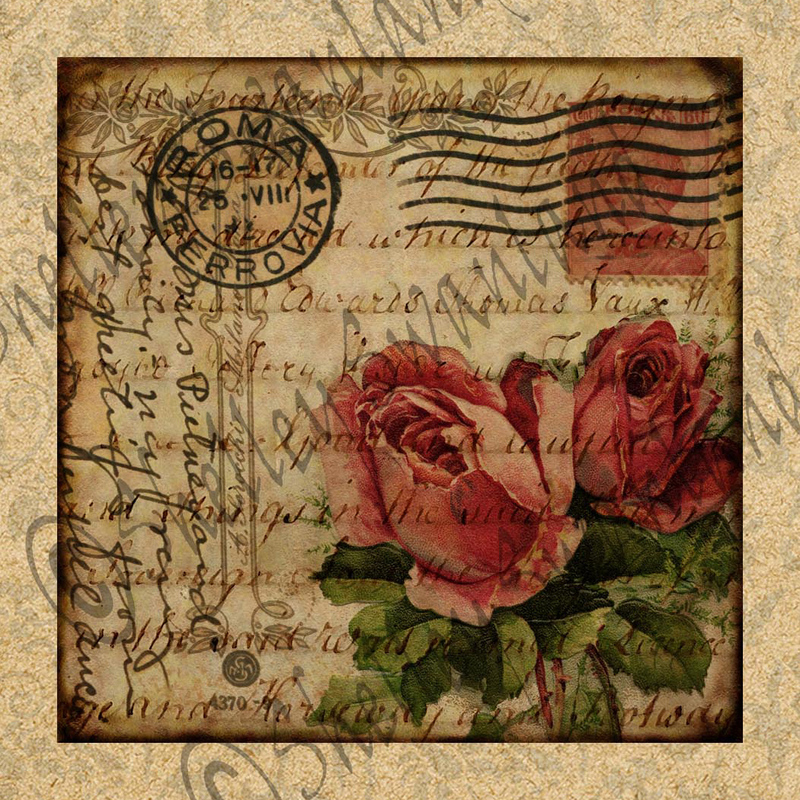 Half Pence postage and an old Post card back were used in this collage. 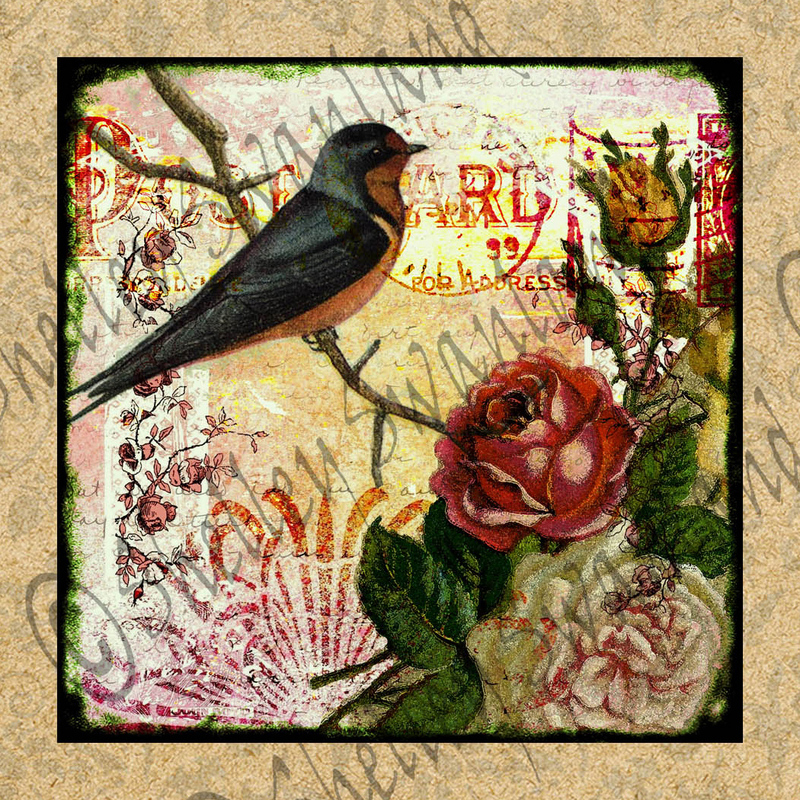 The Pink collage uses a Cedar Waxwing image that I got over at http://www.olddesignshop.com. . An old image of a postcard back and trellis were used in the collage as well as a photo of lovely pink flowers that I took a while back. They are both available in my Etsy shop as fabric prints.